While Humans of the Sesh is, by and large, known for its irreverence and meme-oriented celebrations of bags of cans, Amber Leaf, club culture and festival antics, the comedy Facebook page-turned-media brand has quickly become an influential voice for Ireland’s young generation. Regularly taking to their social channels to encourage caution and sensibility in clubs and festivals as well as being a respected voice in the dialogue around the Repeal The Eighth movement, mental health etc, the platform has, in its own way, brought accessibility to socio-political conversation for Ireland’s youth. Now, Humans of Sesh’s music platform Sesh FM – a label and online channel where exclusive mixes and tracks by Irish artists are shared – has launched its ‘Solidarity’ charity compilation series. 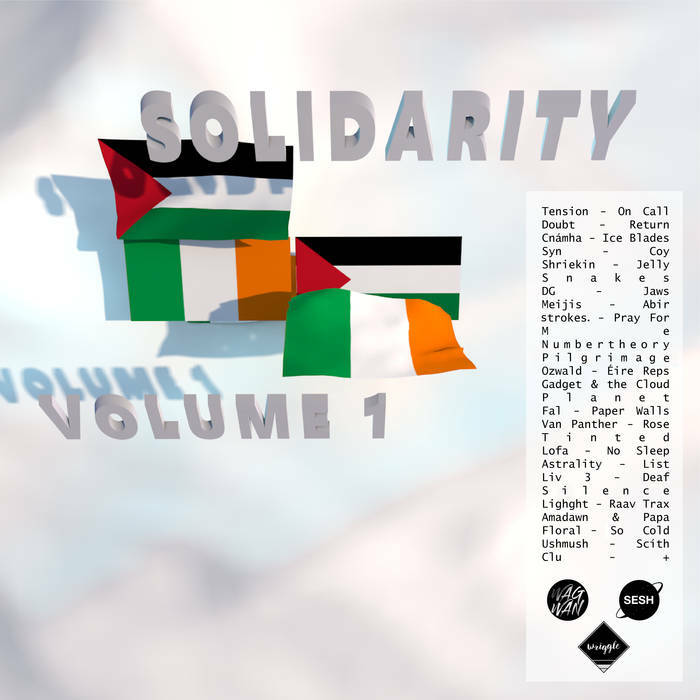 ‘Solidarity Volume 1’ drops this Saturday 4th August, with all proceeds set to be donated to pro-Palestine charities. The compilation features a whopping 20 tracks from a wide array of Irish electronic producers including Gadget and the Cloud, Lighght, Cnámha and CLU-+. Premiering below, we have the compilation’s second track courtesy of Doubt. A percussive, hammering techno belter, it is one of the collection’s most dancefloor ready cuts and showcases some of the formidable underground production chops circulating the country at present. Proceeds will be split between Addameer, a Palestinian institution, and the Irish Palestinian Solidarity Campaign, the IPSC. A launch party for the compilation will be held in Limerick’s Pharmacia club. More info on that can be found here. Order your digital copy of ‘Solidarity Volume 1’ here. Listen to Doubt’s ‘Return’ below.